Turkey has a pretty strong housing and construction sector. 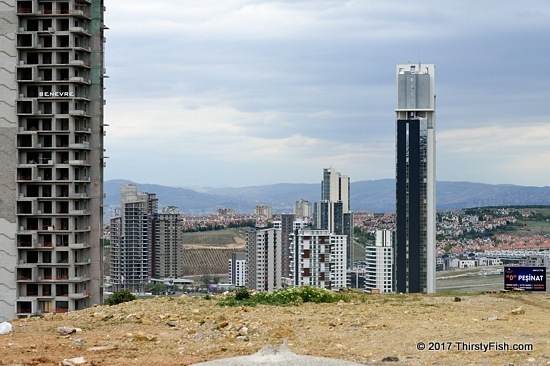 Modern apartment complexes like the Ankara construction projects seen in the photo are popping up everywhere at an estimated 800,000 units per year. However, in the recent years, most builders and investors are targeting the high-end market to the point of pricing people out off the market. This and rapidly rising house prices is indicative of a potential housing bubble. And it's not just me, even the World Bank sees problems with the market. My guess is that in the next couple of years, we will see a housing market crash followed by an economical downturn in Turkey. The construction sector is one of the driving sectors of the Turkish economy and if it suffers deeply so will the rest of the economy. If by any chance you are considering purchasing a house in Turkey, don't - wait a few years.